Are you ready for WordPress Gutenberg? This dramatic redesign of the WordPress editor aims to provide a true WYSIWYG experience by breaking up pieces of posts and pages into individual blocks of content. In our brand new course, Coding Blocks for WordPress Gutenberg, you'll learn how to create your own blocks to extend the functionality of the Gutenberg editor. 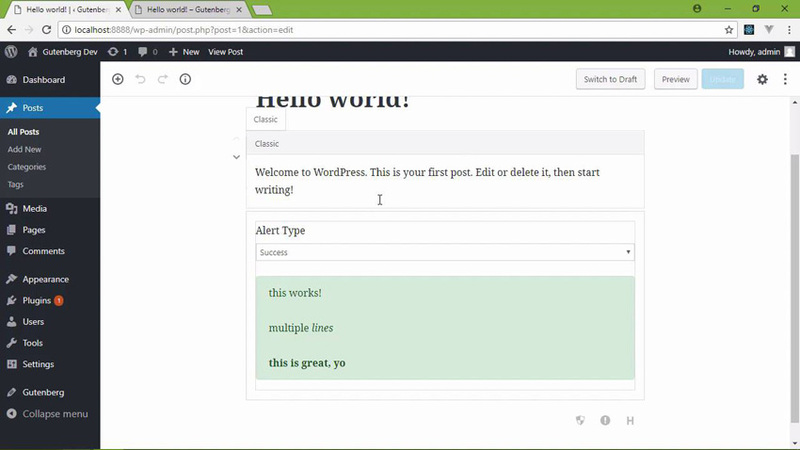 In this step-by-step video course, Jeremy McPeak will show you exactly how blocks work in WordPress Gutenberg and how to write your own. Check out the quick intro video to get a better idea of what's included, so that you can get fully up to speed with Gutenberg before it becomes part of WordPress core!